Our site is made especially for gamers of Minecraft Pocket Edition, for those, who enjoys playing it via mobile phone. Here people can find everything you might searching for, from news to different interesting modes. So, if you are a fan of this game – welcome! Besides, if anybody still haven’t download Minecraft Pocket Edition and don’t want to buy it from the App Store or Play Market – just click on the heading “Download Minecraft” in the right corner of the site and install it for free. As can be seen, there are different subsections in our site, where you can find everything you want. For instance, if somebody is interested in the latest news of the game, click on the sect “News” and read divergent articles about new releases or new versions of MCPE. The section “Mods” is for those, who want to install different modifications to make the game even more fascinating and entertaining. Next column is “Maps”, there you can search for any map you like, labyrinths or puzzles. Want to make your version of the game more animated and breathtaking? Section “Texture packs” is made for it. You can also look through the page “Seeds”, which is made for divergent additions to the game that help you to rule the world. The penultimate heading is “Skins”, if you want to have the most up-to-date armor and clothes for your character – click here. Last but not least, the page “Guide” is made especially for gamers who haven’t figure out how to play the game yet. Want to read some instructions and advice? Press on the “Guide”. This is a brief review of our site, have fun and enjoy Minecraft Pocket Edition! 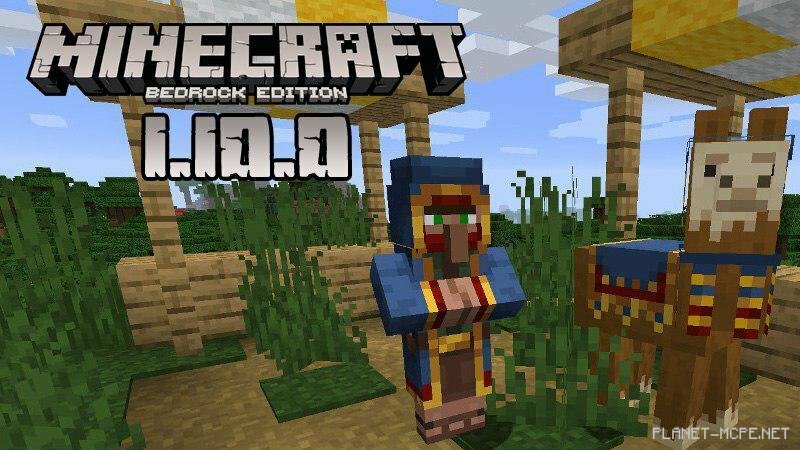 Minecraft Pocket Edition 1.11.0.9 Village & Pillage Update! Recommended visitor page — Download MCPE on Android! Release Minecraft Pocket Edition 1.11.0 from Android. It's great seed for Minecraft Pocket Edition! Cool texture for Minecraft. These textures are very interesting transform the graphics of the game Minecraft. The developers of Minecraft reported that in the near future they will release a full version of the game Minecraft 1.11.0 Village and Pillage Update. We recommend you a Mob-Grinder mod that adds another entity to the game! To your attention a map that really inspires fear in you!